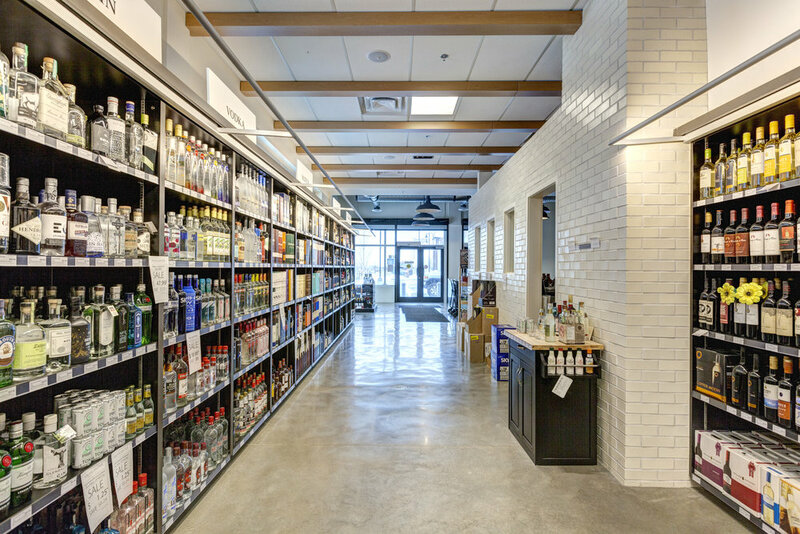 RK worked with Highlander Wine and Spirits to design a store that is approachable and easy to navigate, capturing just the right mix of industrial-meets-modern feel. Through the use of lighting and custom designed, movable furniture, the space can be rearranged to house different events such as wine tasting and hosting. Exposed brick, beams, and piping, as well as a feature wall made from reclaimed wood, all come together to give the space its unique look and feel.